Posted by Karen at 7:21 p.m. There's one in my basement right now. 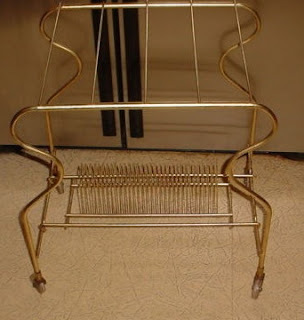 I remember having one in the house when I was a kid and when I got my first apartment, it was a tv stand. I love your blog. So many great memories.